Mischief and mayhem run riot in Rossini's most popular comedy. Figaro, the renowned Barber of Seville, has a cunning that knows no bounds. His playful energy is brought to life in director Annabel Arden's sparking and springing production. This is another chance to catch Danielle de Niese who plays the determined Rosina. 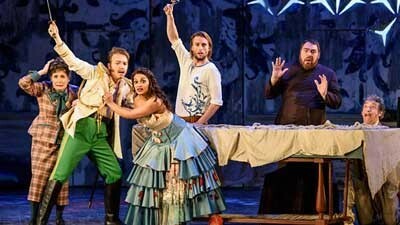 A showing of a performance recorded in 2016 at the Glyndebourne Opera House.